New Jersey Furniture Store Insurance. Furniture stores sell new, used, unpainted, or naked furniture along with mattresses, decorative items, floor coverings, window treatments, and electrical appliances. Some may offer to repair, strip, reupholster, paint or refinish used or naked furniture; others design and manufacture custom-made items. Interior design services may be offered, or the store may manufacture and install kitchens, bathrooms, shelving and cabinets. Stores selling larger items may offer delivery, set-up and installation services or may contract these out to others. As a furniture store owner, it is important for you to maintain insurance that adequately covers any potential liability and claims that may arise from doing business - a step that ensures that you remain profitable, no matter the financial climate. Work with an independent insurance agent to help you craft a New Jersey furniture store insurance policy that protects both you and your business from the exposures and perils you face in day-to-day operation. New Jersey furniture store insurance protects your shop from lawsuits with rates as low as $47/mo. Get a fast quote and your certificate of insurance now. Why Do Furniture Stores Need Business Insurance? 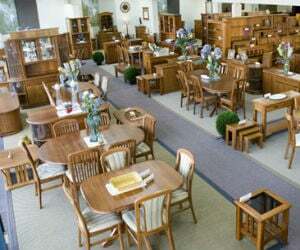 There nearly 30,000 furniture stores doing business in the U.S. These stores employ nearly 217,000 people. The sector generates roughly $60 billion in revenue total annually across the country. This makes the business a broad one, and the risks faced by owners of these stores are likewise broad. Building Insurance - This coverage is important if you own the store in which you do business or if you own the warehouse where you keep your inventory. If you rent your space, you may also need to buy this coverage if the owner does not maintain it for you as part of your lease. Business Property Insurance - Cover the contents of your furniture store or the warehouse where your furniture is stored with property insurance. This type of New Jersey furniture store insurance coverage provides protection for hazards like fire, vandalism and heavy winds. This may include protection for things such as light fixtures, computers, furniture, fixtures or even flooring. Flood Insurance - Provides coverage against flood and water damage from flooding with flood insurance. Flood water can impact your NJ furniture store in a major way. You can supplement your property coverage with a flood insurance policy, which is sometimes available through the National Flood Insurance Program. Earthquake Insurance - For damage that is caused by earthquakes, earthquake insurance is a must. If you do business within an area of the country where seismic activity is a problem, then a supplemental policy that guards against financial loss from earthquakes can be important. Commercial General Liability: This covers most common liabilities that you might face such as slip-and-fall claims. 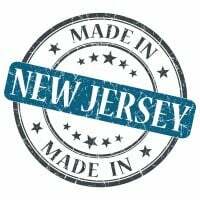 Product Liability: This New Jersey furniture store insurance policy provides coverage for property damage or injuries caused by defective or faulty products you sell. Advertising Liability: Cover yourself against claims of trademark or copyright infringement with this type of policy. Personal Injury: Provide protection for claims of slander and libel with personal liability insurance. NJ Commercial Auto: If you have a delivery truck or van, protect it with an auto liability policy that's specifically structured for commercial use. Cyber Liability: Protect your clients and customers from cyber attacks with this policy. This coverage provides protection for damage and loss occurred when someone hacks into your system and retrieves credit or other information. Beyond property coverage and liability coverage, your furniture store might want to consider business income insurance. If your business must close due to a covered peril, then this insurance can provide financial assistance until you can reopen. Worker's compensation is also a good type of policy to own, and it is required by most states. NJ workers comp protects your employees from loss if they become ill or injured at work. Premises liability exposure comes from slips and falls due to public access to the premises. Aisles must be adequate and free of debris. Floor coverings must be in good condition with no frayed or worn spots on carpet and no cracks or holes in flooring. Steps and uneven floor surfaces should be prominently marked. Sufficient exits must be provided and be well marked, with backup lighting systems in case of power failure. Smaller goods should be kept on easily reached shelves so that customers do not pull down items on themselves. As children may climb, jump or play with floor displays, there should be enough employees on duty to supervise activities of customers. Interior decorators and employees making deliveries, setting up, and installing purchases for customers present a property damage exposure to the customers' premises. If the store recommends independent contractors, certificates of insurance should be maintained to verify that the contractors carry adequate limits of liability. Products liability exposure is normally moderate unless bedding or children's and infants' furniture is sold or there is direct import of the products. All applicable standards and regulations must be met. If there is customization, the exposure will become closer to that of a manufacturer than a retailer. Foreign-made items should come from a domestic-based wholesaler. Any direct importer should be considered as a product manufacturer. Workers compensation exposure comes from lifting which can cause back injury, hernias, sprain, and strains, from slips and falls, and from cuts and eye injuries from glass breakage. Employees should be provided with safety equipment, trained on proper handling techniques, and have conveying devices available to assist with heavy lifting. If there are woodworking or repair operations, the workers may be exposed to cuts, punctures, amputations eye injuries, and skin or lung irritation. Adequate protection using guards and goggles must be required. Housekeeping in storage areas, especially during peak times, is vital in preventing trips and falls. In any retail business, hold-ups are possible. Employees should be trained to respond in a prescribed manner. Drivers of delivery trucks can be injured in accidents, be crushed by heavier objects, or fall on stairs or from tailgates. Installers can fall from heights, be injured by falling objects, or be electrocuted while working on wiring. Property exposures are from the heavy electrical load due to floor models being plugged into numerous outlets for display. Wiring must be up to date and meet current codes. Furniture and home furnishings are extremely flammable and susceptible to damage from fire, smoke, and water. Flammables, such as paints, varnishes, strippers, degreasers, and solvents used in repair operations must be properly stored, separated, and controlled. Woodworking and painting operations may take place on premises. Plastics will feed the fire and cause an oily smoke which can permeate items, reducing any salvage opportunities. Wood, fabric and packing materials add to the fire potential. Forklifts used inside the warehouse should be recharged in an area with good ventilation, separated from flammables. There should be no smoking on premises. Breakage may be a concern if there are glass or other fragile items. If there are high-value items, theft may be a concern. Appropriate security measures must be taken including physical barriers to prevent entrance to the premises after hours and an alarm system that reports directly to a central station or the police department. Inland marine exposures are from accounts receivable if the store offers credit, computers coverage if electronic devices are used to transact sales and monitor inventory, equipment floater if forklifts are used in the warehouse, goods in transit, and valuable papers and records due to customers' and vendors' records. Backup copies of all records, including computer records, should be made and stored off premises. Automobile exposure comes from both pickup and delivery. Drivers should have a valid license and acceptable MVR. Vehicles must be regularly maintained with full documentation kept. Review your coverage needs with a licensed independent broker to determine if your portfolio contains the right levels and amounts of coverage for your individual needs. With the right insurance in place, you can rest assured that your NJ furniture shop is completely guarded against perils that can and do arise during the course of business operation. Request a free New Jersey Furniture Store insurance quote in Asbury Park, Atlantic, Bayonne, Beachwood, Bellmawr, Bergenfield, Bound Brook, Bridgeton, Camden, Carteret, Cliffside Park, Clifton, Collingswood, Dover, Dumont, East Orange, Eatontown, Edgewater, Elizabeth, Elmwood Park, Englewood, Fair Lawn, Fairview, Florham Park, Fort Lee, Franklin Lakes, Freehold, Garfield, Glassboro, Glen Rock, Gloucester, Guttenberg, Hackensack, Haddonfield, Hammonton, Harrison, Hasbrouck Heights, Hawthorne, Highland Park, Hillsdale, Hoboken, Hopatcong, Jersey, Keansburg, Kearny, Kinnelon, Lincoln Park, Linden, Lindenwold, Little Ferry, Lodi, Long Branch, Madison, Manville, Metuchen, Middlesex, Millville, Morristown, New Brunswick, New Milford, New Providence, Newark, North Arlington, North Plainfield, Oakland, Ocean, Palisades Park, Paramus, Passaic, Paterson, Perth Amboy, Phillipsburg, Pine Hill, Plainfield, Pleasantville, Point Pleasant, Pompton Lakes, Princeton, Rahway, Ramsey, Red Bank, Ridgefield Park, Ridgefield, Ridgewood, Ringwood, River Edge, Roselle Park, Roselle, Rutherford, Sayreville, Secaucus, Somers Point, Somerville, South Plainfield, South River, Summit, Tenafly, Tinton Falls, Totowa, Trenton, Union, Ventnor, Vineland, Wallington, Wanaque, West New York, Westfield, Westwood, Woodbury, Woodland Park and all other cities in NJ - The Garden State.